The building stands on a land disputed with the indigenous Sarna community. 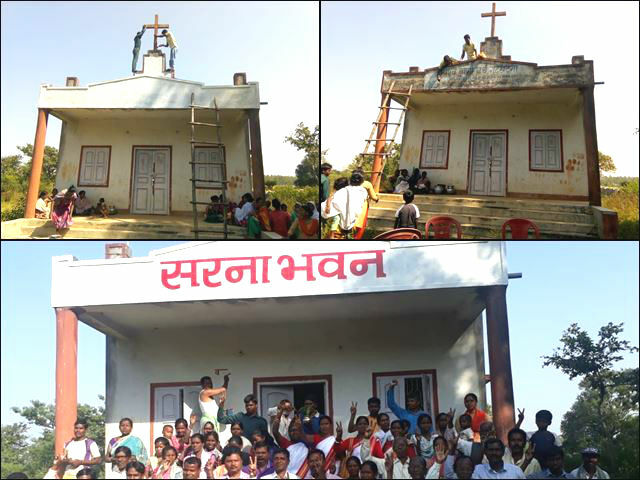 The court ruled against the tribals on the illegal acquisition of land, but the ruling does not concern the Christian religious building. Sajan K George denounces the attempt by right-wing groups to "widen the gap between Christians and tribals". 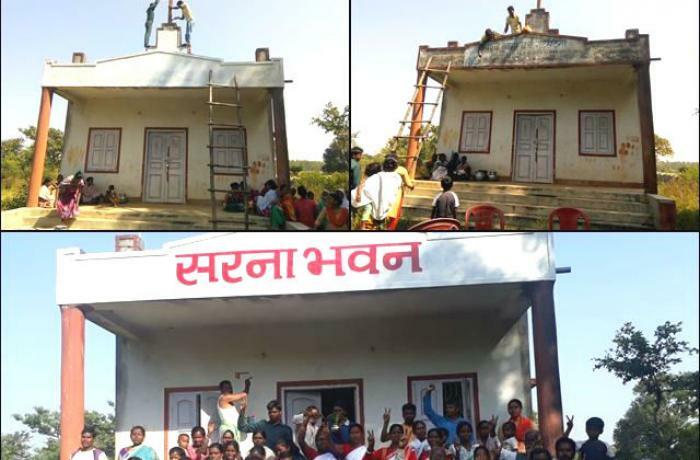 Mumbai (AsiaNews) - A group of tribal people from the Sarna community removed a cross that stood on top of a church and renamed the place "Sarna Bhavan" (meanings, "House of those following the traditional Sarna religion"). The event took place on 20 October last in the village of Garkhatanga, near Ranchi. 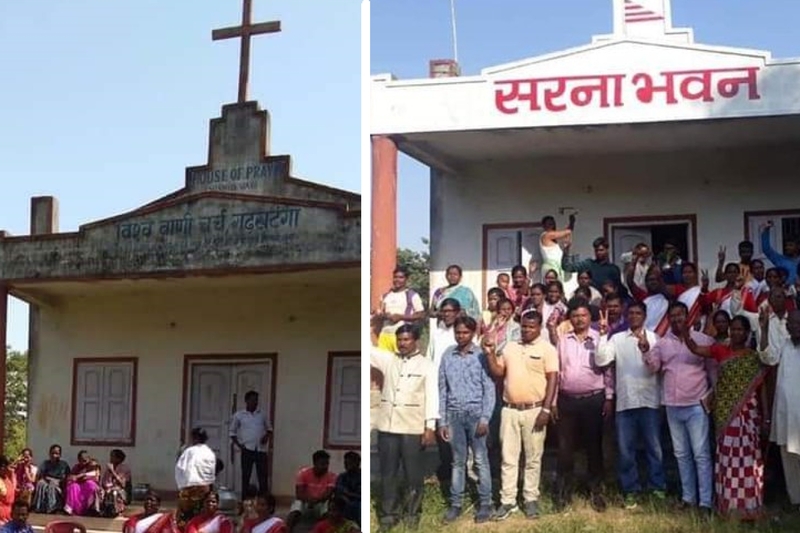 Sajan K George, president of the Global Council of Indian Christians (GCIC), tells AsiaNews that t "the sectarian ardor caused by extreme right-wing groups aims to divide, cause tension and widen the gap between Sarna tribal and Christians in Jharkhand ". The incident, he adds, "deeply hurts our religious sentiments". According to the Christian leader, the church is on a tribal ground and there is a legal dispute on its property. The judges of a civil court issued a ruling in favor of the Sarna tribals. Ajit Peter Dungdung, police superintendent, however, allowed the continuation of the dispute, arguing that the court's judgment concerns only the ownership of the land, and not that of the building. "The building was not there when the illegal land transfer took place. So construction can be challenged in any court ". 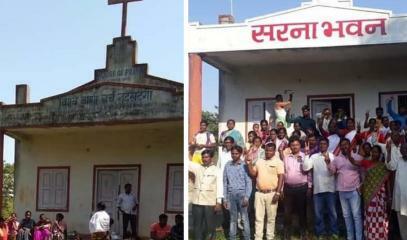 Villagers involved in the removal of the cross complain that Christian missionaries operate forced conversions and encroach on their land and squander their resources. With this pretext, highlights Sajan K George, the BJP government (Bharatiya Janata Party) in Jharkhand has approved the Freedom of Religion Act 2017 (the anti-conversion law). The president of the GCIC also tells of another episode: "A few years ago there was a protest for a statue of the 'tribal Virgin Mary'. It all stemmed from the fact that the statue of the Madonna wore an Indian sari and hugged Jesus in the tribal manner. The Sarna have complained, claiming it was a fatal attempt to confuse local beliefs in the hope of pushing tribal people to move from 'Mother Nature' to 'Mother Mary'. "